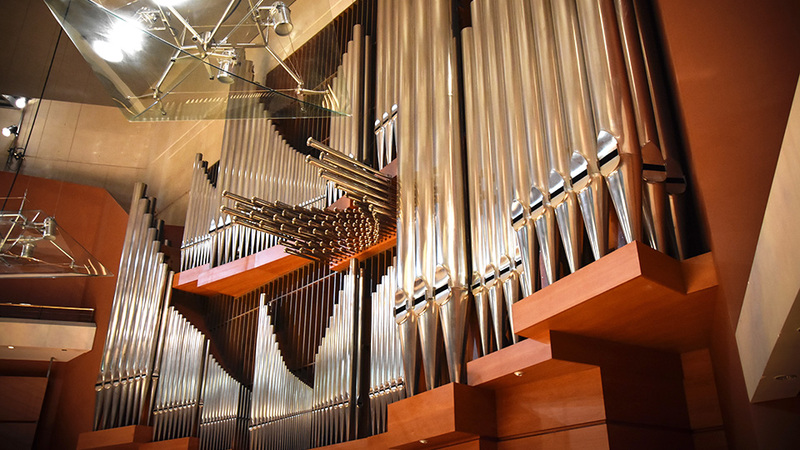 Modern recital organs are fascinating instruments, capable of the most thrilling or subtle musical effects. Many of them are craft-works of great beauty and complexity and the vast organ repertory includes some of the most glorious western music. 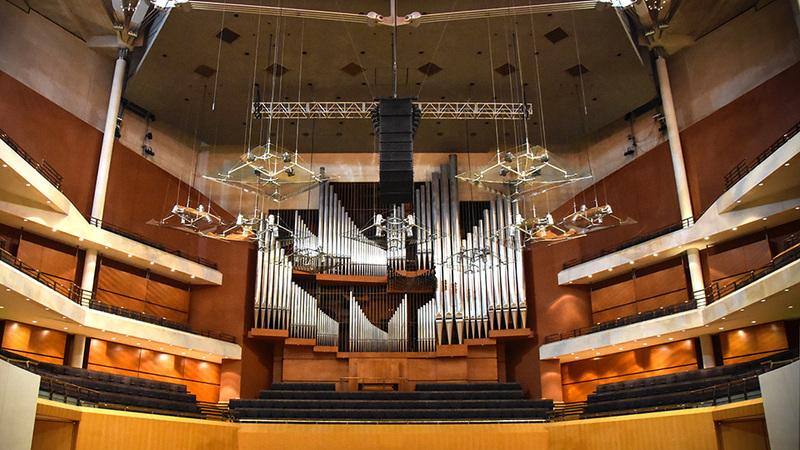 The Bridgewater Hall’s magnificent pipe organ is a focal point of this internationally-renowned concert venue. The instrument dominates the 2,400 seat auditorium, completely covering the rear wall with a beautiful blend of wood and burnished metal. 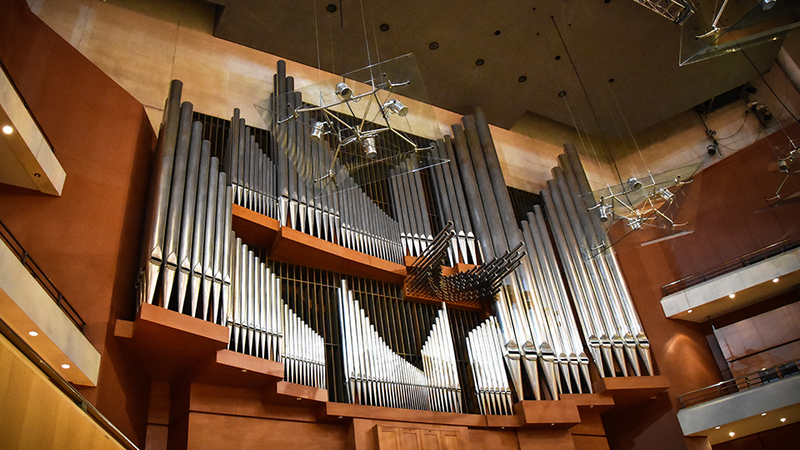 It was the largest instrument of its kind to be installed in Britain for almost a century and is the jewel in the crown of one of Europe’s finest concert halls. It includes 5500 pipes. The Hall’s organist-in-residence, Wayne Marshall, holds regular recitals as part of the International Concert Series. 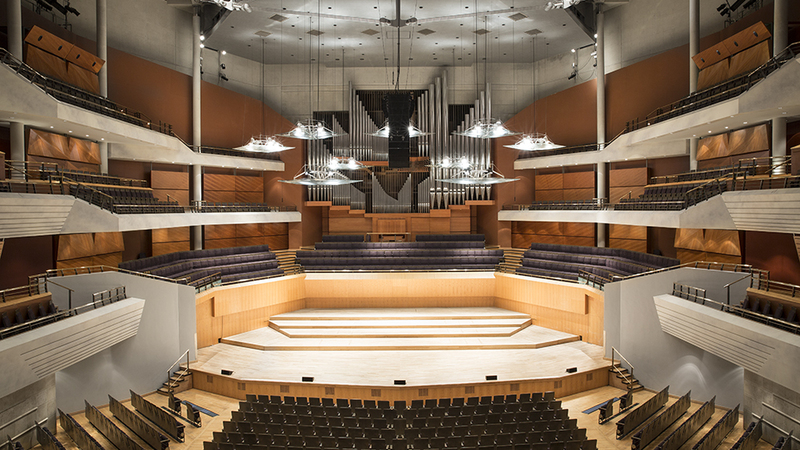 Watch the video below to discover the magic of The Bridgewater Hall organ. Experts and beginners can learn about the science behind the instrument, hear how it is tuned and played, and explore behind its gleaming facade. 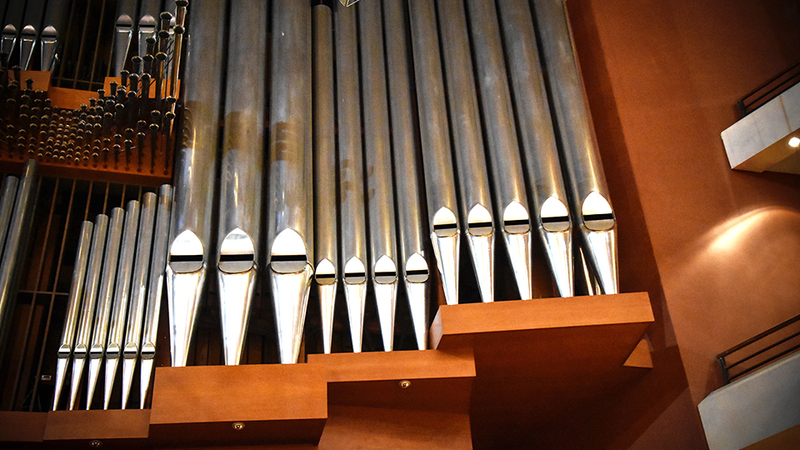 To find out more about the Hall’s Marcussen organ, join one of our organ tours. Book online or contact the Box Office on 0161 907 9000. Tickets £5.00 (£4.00 concessions).